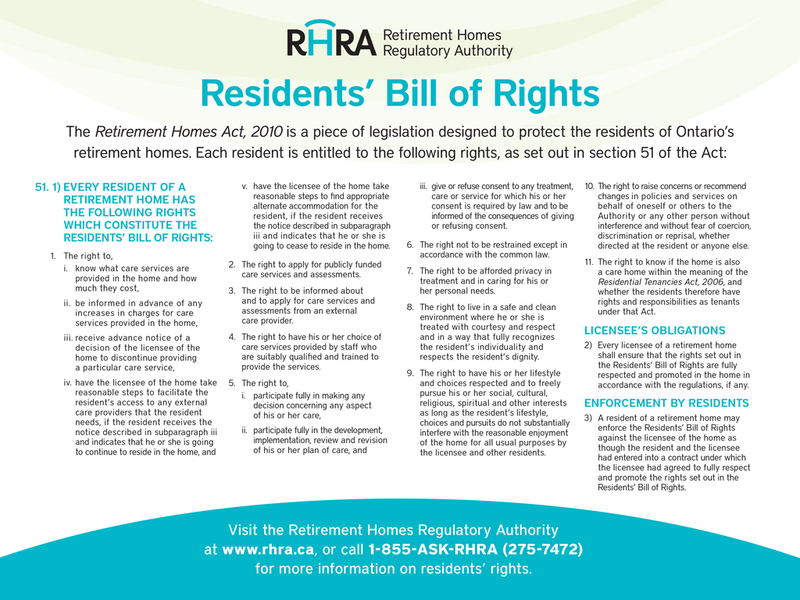 The RHRA develops information and educational material to assist retirement home operators to better understand and meet the standards in the Act and Regulations. Select any of the links below to access these materials. > What care and safety standards are required under the Act? > How is the RHRA funded? Learn more about the standards retirement homes must meet under the new law. This guide explains the standards set out in the Act. Remember that it is an overview and you are still encouraged to consult the Act and its regulations.